Dr Jeffrey Brooks founded Sydney Chiropractic Care with the vision to see people advance their health to a state of total wellbeing using chiropractic care and lifestyle modification. He has helped more than 10,000 people improve their quality of life, and has been well respected in the profession by his peers, patients, and other health care professionals. He has been involved in numerous public health projects, and for several years running visited NSW Parliament House to help staff and politicians learn about spinal health and have a posture check-ups. Dr Jeff has been interviewed and represented on television, radio, newspapers, magazine articles, and online media. 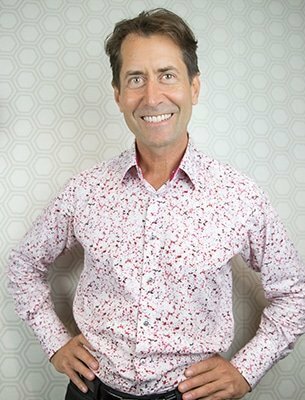 Dr Jeff holds a science degree in Physiology, with a second major in Anatomy; and he holds a Master’s Degree of Chiropractic Science. Dr Jeff has studied and acquired these skills. Dr Jeff has a focus on finding the source of your problems, designing a correctional care program to rehabilitate you back to health. The approach typically also uses correctional exercises for self-care and educational classes on lifestyle modification to help maintain results that are attained. His purpose in practice is to help all under his care advance their quality of life to the highest level of health and wellbeing achievable. His aim is for excellence, for life! Dr Jeffrey Brooks founded Sydney Chiropractic Care with the vision to see people advance their health to a state of total wellbeing using chiropractic care and lifestyle modification. He has helped more than 10,000 people improve their quality of life, and has been well respected in the profession by his peers, patients, and other health care professionals. He has been involved in numerous public health projects, and for several years running visited NSW Parliament House to help staff and politicians learn about spinal health and have a posture check-ups. Dr Jeff has been interviewed and represented on television, radio, newspapers, magazine articles, and online media. Dr Des Deen has been in practice for 22 years. He works using both Osteopathic and Chiropractic techniques. Dr. Des’ focus is on pain relief and also long term spinal correction with his speciality involving muscle work. 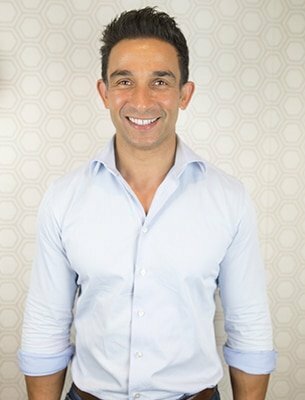 Dr. Des is also a fully certified life guard and dedicates part of his weekends to his local surf life savings club in North Bondi.